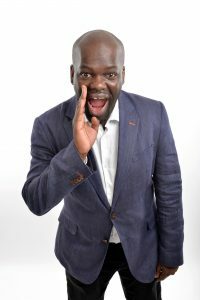 Daliso Chaponda is an African featured on Britain's Got Talent. 2017 Britain’s Got Talent Finalist Daliso Chaponda was born in Malawi and began his comedy career in Canada. After a spot of bother with the authorities he took part in the 2005 Just For Laughs Comedy Festival with his show ‘Don’t Let Them Deport Me’. This was quickly followed by his new show ‘They’re Deporting Me Anyway’. In short, Canada is not the best place to see Daliso. Now residing in the UK he regularly appears in Africa and across Britain. But not Canada.